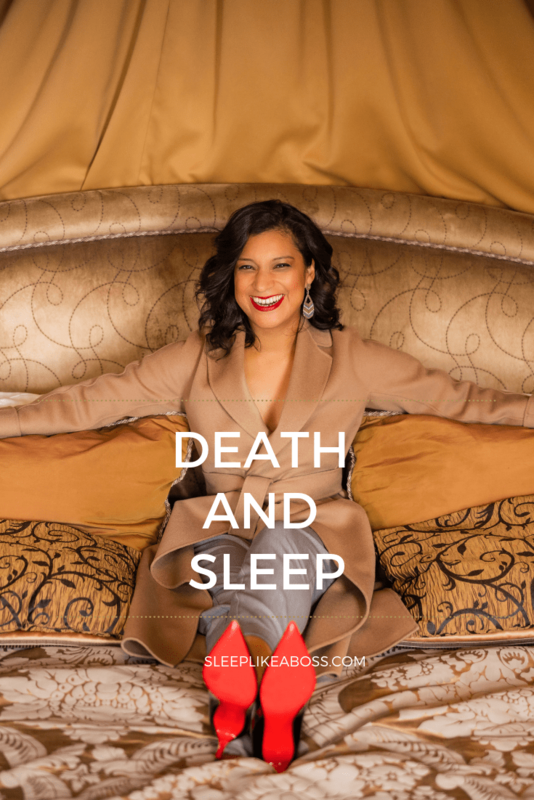 I want to dive into the perception of sleep and death a little deeper, because I figured out that a lot of my clients subconsciously have a fear of falling asleep. 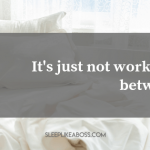 It makes sense to a certain extent, because when we sleep, we are sort of exposed. We're lying there, we don't register everything, and we are not as quick to react (which is a big one). Secondly, the eternal sleep is kind of what we connotate with death, isn’t it?!? People lying there, having that eternal peaceful sleep; drifting off to sleep, and sometimes working with people I find that there is a real fear of death. Falling asleep, letting yourself go and having that very real fear of never waking up. 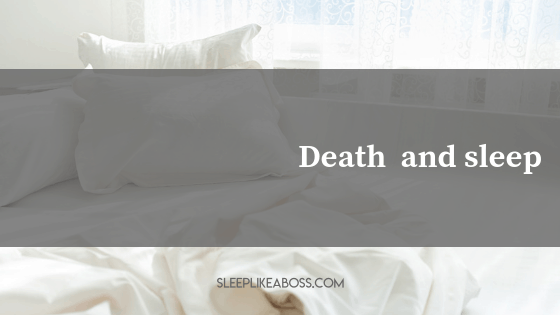 And yet, so very often, our biggest hope is to basically die peacefully in our sleep and if we go into psychology, everybody's main fear is death in the end. Whenever you analyze anyone's fears, the ultimate fear is always dying alone and dying in a miserable way. It doesn't matter whether it is any blocks, any money blocks, any love blocks, any personal development blocks. Whatever you do, it pretty much always comes down to that fear of dying on your own and not in a peaceful manner. Having that fear of death on its own (not even on how you're dying) and then going to bed at night needing to let yourself go; to drift into that sleep and to basically release yourself into sleeps kind of grasp (taking you into this other state that you have no control over), is a leap of faith for a lot of you. The way I usually tackle this, is to really talk about what death is to you. What does it mean to you? Is it something scary? Could it just be something peaceful and what is the real fear around that? Is it that you're not living the life you want to, and you know it? Is it that you have things you want to do before you die? Is it that you don't want to leave your loved ones behind? Is it not knowing of what’s awaiting you after this life? These are questions when you can ask yourself in a nice peaceful state, you might come to terms that yes, we are all finite and we are all going to die, is a big point. I find that most of the time, people know that they are not in alignment with themselves. They kind of know that they're living a life that's not really what they want to do and changing that takes a lot of effort. It takes a lot of courage! It means leaving people behind. It means meeting new people and trusting new people. It's a big thing, but once you do that, you live a completely different life. One that's just so much more peaceful and you will know that when the day comes, whenever that is. You will be in integrity with yourself and you can smile and have that peaceful kind of death, which we all want. Knowing that, is going to help you release that anxiety when you go to bed and sometimes you don't know that it's about death. You just know that you don't like to sleep. You don't like to let go and you might personalize sleep and see it as this person, taking you and guiding you into this world, that we still don't entirely understand, even though we know what dreams do. We know that what our brain does, our soul, our essence is ethero. We don't know and it's taking you into that realm. It can be scary, but it doesn't have to be. Look at it as something beautiful. Be ready to go to sleep at night; be ready to let go and have that freedom, that ultimate state of freedom of just letting go and having something else take care of you. Ask yourself, what is your fear? Why are you afraid of death? What is going on there? How can you make it into something beautiful that is going to happen? It's inevitable. How can you create a path towards there, so it’s not something freaking you out, but rather something that is okay; really okay. If you need help with that, let me know. I'd love to help you and guide you there. Do whatever you need to do; read poems, listen to music, talk to someone, write, have a walk and just sit down and think about it. Let yourself go there. 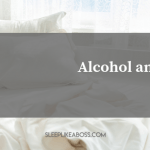 It's something that can be life changing and can definitely help your sleep. Finishing with this gloomy topic, I wish you a wonderful week and I'll be talking to you very soon!